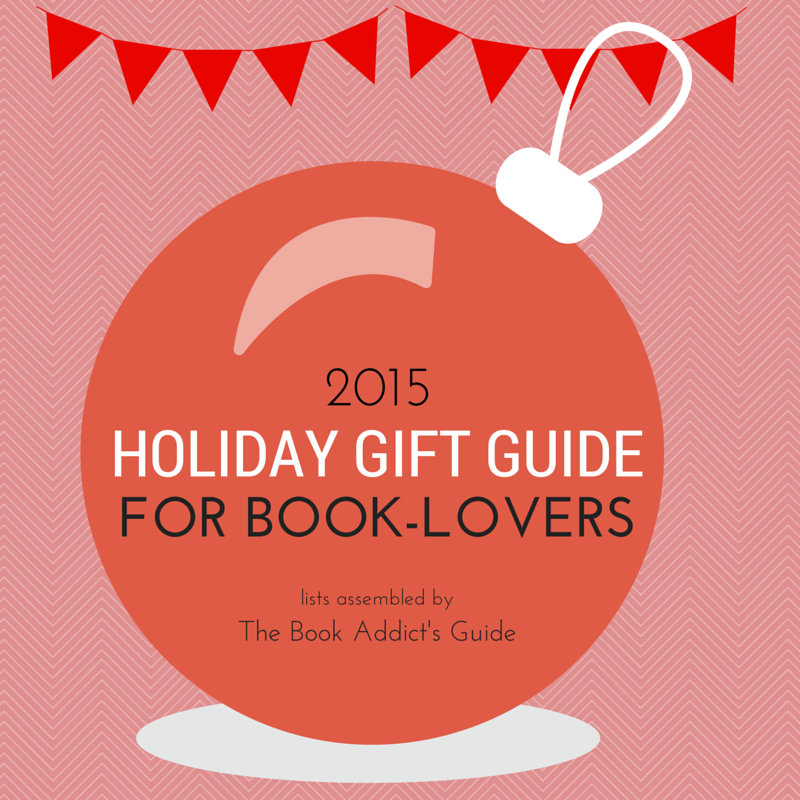 Holiday Gift Guide for Book Addicts 2015 | Glasses, Mugs, Bookmarks + more! 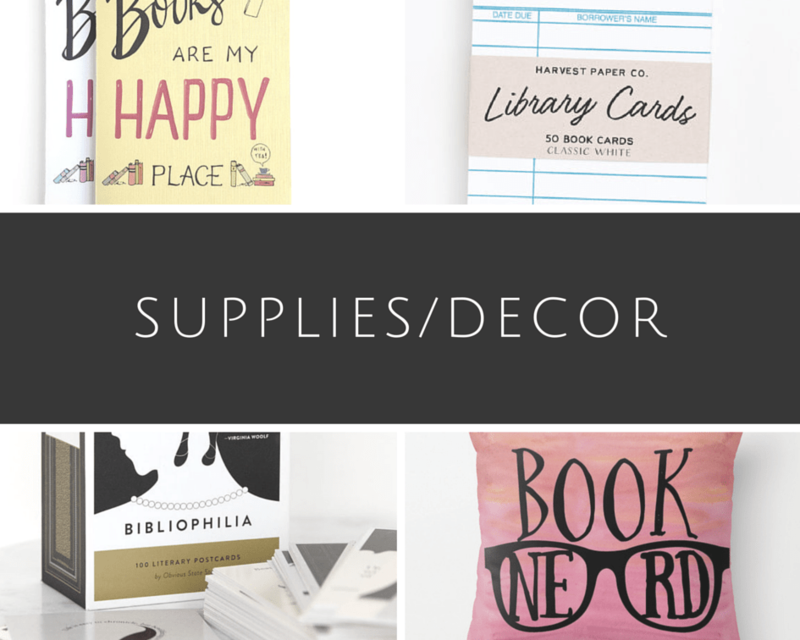 Two days ago I kicked off the gift guides with candle shops, yesterday with tees and totes, and today I’m shifting the focus to glasses, mugs, bookmarks, and more! I’m coffee and beer girl so I love bookish mugs and glasses. I’ve started to collect a few and I’m always on the lookout for more! Plus with most bookworms being coffee or tea drinkers, a nice bookish mug is usually a safe bet! There are also so many places to find excellent prints, decorations, and so much more for the home (I’ll refer you back to Red Bubble and Society6 for those!!) … and who can forget things for your books like bookmarks and book accessories!? Today I’m sharing some of my favorites for allllll of the above! Etsy seems to be the spot with most of my favorites! Like the t-shirt post, I’m just going to list a few shops and what they carry because WHEW, don’t want to overwhelm you! We still have a long way to go!! 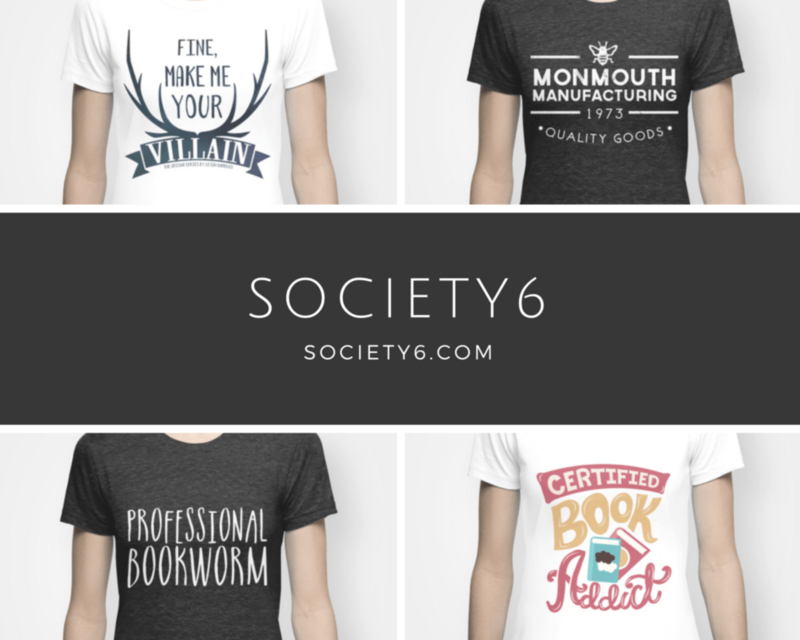 And don’t forget to check out the Society6 shops listed in the previous post grouped with apparel! So many of those shops have tees but they also sell mugs (and so much more)! Icey Designs | Hand-lettered notebooks, prints, pencils + more! Which of these shops would you recommend? Have you purchased from any before? Any more excellent bookish you’d like to give a shout-out to? This entry was posted in Books and tagged Book Gifts, Bookish, Bookish Gifts, Books, Gift Guide, T-shirt, Tote, Totes on November 25, 2015 by Brittany. Yesterday I kicked off the gift guides of 2015 with bookish candle shops and today I’m shifting the focus to apparel, tote bags, and more! Litographs is super cool. Ever wanted to WEAR your favorite book? Well now you can! Litographs prints an entire book onto a t-shirt (or tote or poster) and they also have some sweet bookish tattoos. I’d say most of the available books are classics (classic novels, older children’s books, etc) but there are a couple newer releases too. I was lucky enough to win the giveaway from Andi’s ABCs for the Throne of Glass t-shirt (pictured below!) and it is SO cool. (But it’s so awesome that I’m almost afraid to wear and wash it haha!) They were also incredibly kind and offered to send me a piece to picture in this post so I chose the Wizard of Oz tote so you could see a tote too! Etsy has a ton of great shops for bookish t-shirts and totes! I could list and feature them all individually but there are just soooo many that I’ll make a quick list for you of some of my favorites and the fandoms they include! Hand-painted book totes by Becca featuring scenes, covers, or quotes from your favorite YA novels! Appraising Pages has an AWESOME shop featuring their original designs on T-shirts! 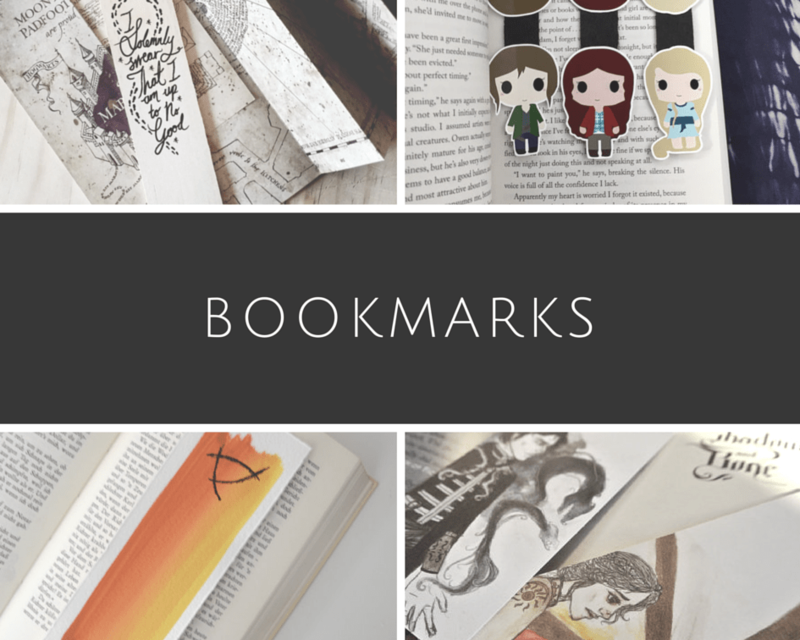 From quotes to references to images… Divergent to The Fault in Our Stars to The Hunger Games and more — they’ve got your bookish fandoms covered! They also have jewelry, things for the home, and more! Gillian from The Writer of Wrongs has an amazing Society5 shop! You can get t-shirts, totes, prints, tapestries, pillows, and oh the list goes on! 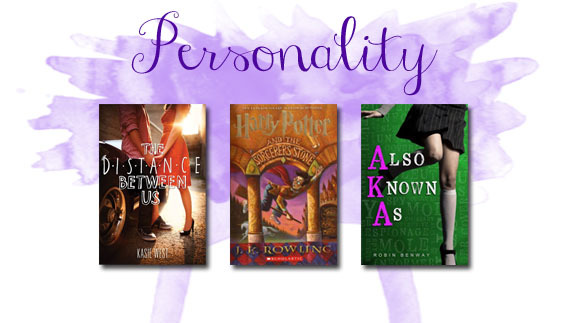 Throne of Glass, The Raven Cycle, Anna and the French Kiss… she’s got your fandoms covered! Which of these shops would you recommend? Have you purchased from any before? Any more excellent bookish shops you’d like to give a shout-out to? This entry was posted in Books and tagged Book Gifts, Bookish, Bookish Gifts, Books, Gift Guide, T-shirt, Tote, Totes on November 24, 2015 by Brittany. I know it’s a bit early to start thinking about Christmas but I KNOW some people have already started thinking about the holidays (and a select few have been dying for Christmas for months… or all year-round, whatever) so it’s that time again to start compiling the lists of all of my favorite bookish gifts! I’ve discovered so many more companies that great some awesome gifts for fandoms and book lovers that I’ve decided to split this year’s guide into a few posts so as not to bog you down with everything in one huge post. First up, bookish candle shops! Fandlemonium makes some BIG candles (as in big in size). Compared to the 8oz size that many companies produce, Fandlemonium’s candles mostly run 16oz for a glass jar. From Disney to Stan Lee to Sherlock, Fandlemonium has a nice selection of fandoms to choose from (sadly it looks like their Harry Potter candles are gone — I’m guessing because of naming since I’ve seen that happen to a few other shops that aren’t allowed to use specifics anymore!) and the scents sound just delightful. FROSTBEARD STUDIO Etsy Shop is one of the first places that I ever saw literary and fandom candles! They have 8oz jars, and sets of 6/3oz tarts with a few variety packs to choose from as well. You can pick some fandom specific ones like The Shire, Winterfell, and Cliffs of Insanity or just plain old bookish scents like “Old Books” and “Bookstore”. I’ve bought from them a few times and received them as gifts and I’m always so satisfied with their products! From the Page is another Etsy shop that features a variety of candles as well as wax tarts and lip balms. I’ve been eyeing up SO many of these, I can’t even tell you, BUT I’m trying to buy things as gifts and not for myself!! You can get scents like Peeta’s Cakes, Mother of Dragons, and Pemberley. There are also some nice pick two, three, or four bundles if you want to buy candles for multiple friends (and get a deal)! I actually JUST stumbled upon Geek Nest so I don’t know much about them yet but it you’re looking for some more fandom candles in the realm of Harry Potter and Lord of the Rings, check them out! They’ve got a smaller 4oz size candle as well as 8oz. This shop is really neat. They actually have tons of fandom stuff, so much more than candles, but I’m including them in the candle post because they have some really neat fandom-themed pillars. 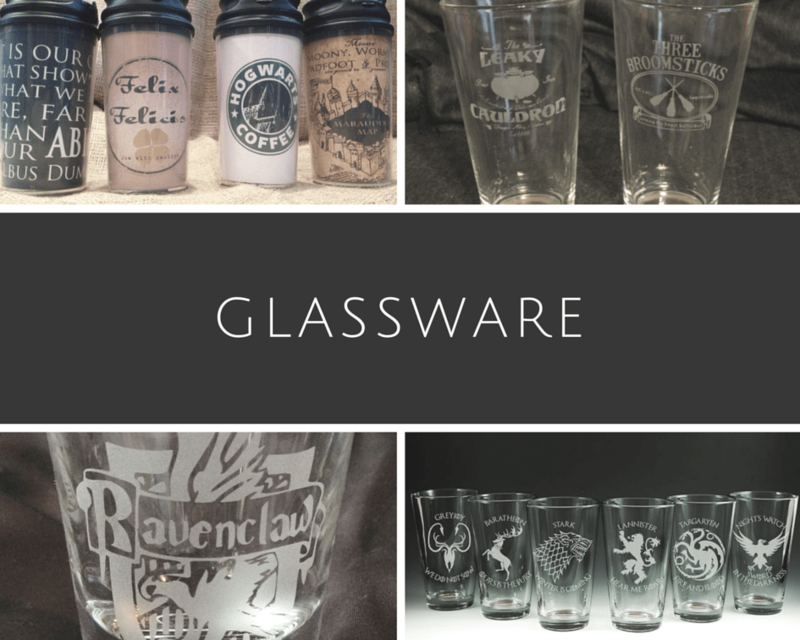 Game of Thrones, Harry Potter, Once Upon a Time and more — from candles to jewelry to coasters… This shop really has it all! Hearth and Hammer is a local candle store that’s actually only about 25 minutes from my house! I found them on Instagram but clearly I need to go visit their actual store since it’s so close to me! They have some fun literary candles and it looks like even more in their Batavia store, but only the candles are sold online. You can also buy from their Etsy Shop or take a look at where Hearth and Hammer candles are sold (The Strand!!) and see if you can find them in a local store near you! I had been wanting to try candle making for a loooong time and finally gathered up the necessary materials to do it! I’ve been experimenting and practicing and literally JUST launched my own Etsy store called Novelly Yours! (And it’s LIVE!) I’ve had a blast brainstorming ideas for scents and themes so far and I’m currently working out all of the little details to make each candle perfect. Check out the store for candles inspired by The Raven Cycle, Fangirl, The Grisha Trilogy, Anna and the French Kiss, and more! Which of these shops would you recommend? Have you purchased from any before? Any more excellent candle shops you’d like to give a shout out to? This entry was posted in Books and tagged Book Gifts, Bookish, Bookish Gifts, Books, Candles, Gift Guide on November 23, 2015 by Brittany. I know it’s only mid-November but admit it. You’re already doing some Christmas shopping. With Secret Santas, holiday parties, and gifts that we need to mail to our loved ones across the country, the holiday shopping starts early! I had so much fun with the Top Ten Tuesday post all about bookish gifts back in April and I thought things from those posts would also totally come in handy when shopping for your favorite book lovers this holiday season! Candles aren’t necessarily something you’d consider to be literature-related but there are some amazing shops that combine the two perfectly. The first is FANDLEMONIUM (who so graciously sent me my very own Hermione candle a few months ago after seeing my Top Ten Tuesday post and including them! Thank you again! (Though I still haven’t had the heart to burn it. Love it too much!!!!)) They have an awesome selection of candles that have been carefully put together with scents to represent not only book fandoms but others as well! Their tagline is “Candles for Geeks” so trust me — there’s something there for all you proud-to-be nerds out there! You got them the glasses… why not get them the beverages to go inside? If Postertext doesn’t have what you want, you can also check out websites like Litographs, Spineless Classics, and Novel Poster! There are also quite a few blogger-run stores (mostly through Etsy, that I know of) and these amazing bloggers create their very own fandom-related and book-related merch! They are QUITE fantastic and I’ve been yearning for some of these myself! Oh gosh, you guys, there are SO many more amazing bookish gift ideas that I haven’t included in this post so that is where YOU come in. Tell me some of your favorite bookish gifts! Do you have a favorite Etsy store? Some great gifts that you’ve given or received in the past? We want to hear it! Help our your fellow bookworms (or maybe just someone who stumbled upon this post) in purchasing the best holidays gifts a book-lover can get! Pretty please leave your favorites + links in the comments below! I’d love to check them out! 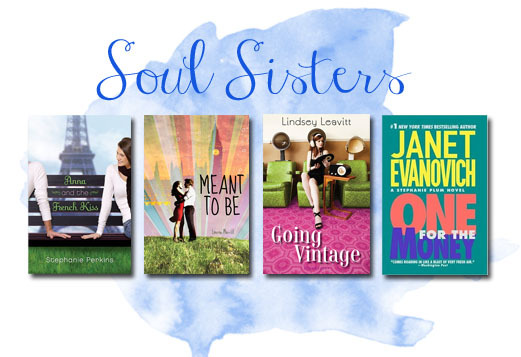 This entry was posted in Books and tagged Book Gifts, Bookish, Bookish Gifts, Books, Gift Guide on November 19, 2014 by Brittany. Top Ten Characters Who X and we get to fill in the blank so I’m picking characters I related to as I was reading! Okay, okay, so that’s twelve. 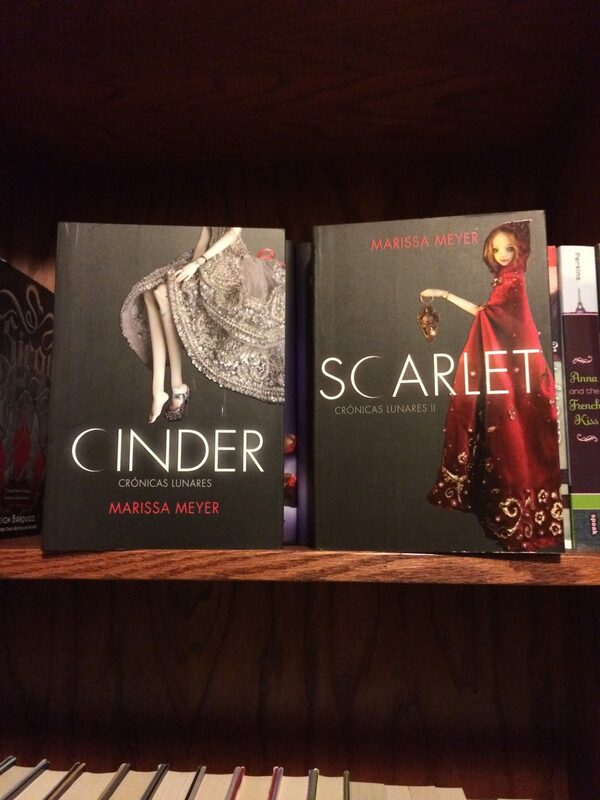 But these are for sure the girls I relate to most in the books that I’ve read! 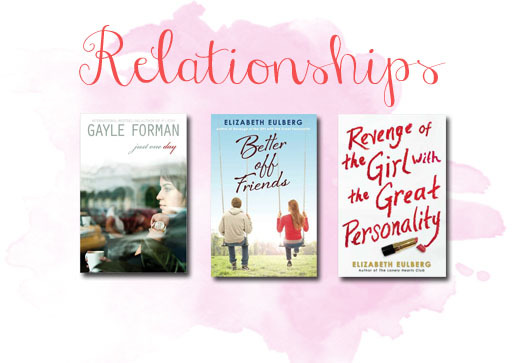 Each for different reasons, but clearly the characters I relate to the most help ease a book into being one of my favorites! 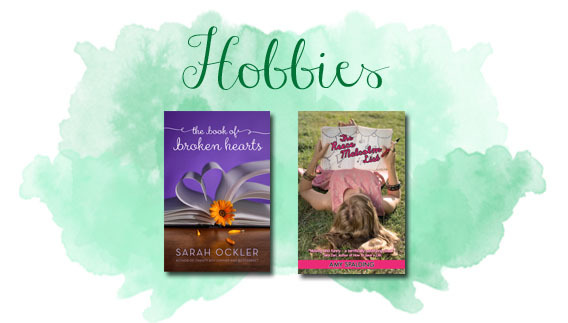 This entry was posted in Books, Top Ten Tuesday and tagged Bookish, Books, Characters, Favorites, Top Ten, top ten tuesday, YA, Young Adult on April 22, 2014 by Brittany. LITERARY CANDLES. Yep. I need them. I actually haven’t bought any yet myself but Alyssa DID get me a Princess Bride-themed candle for Christmas last year! It’s called “The Cliffs of Insanity” <3 She got it from the Frostbeard Etsy Store which has SO MANY THINGS TO CHOOSE FROM. I kind of want them all. Then there is this freaking gem that is HARRY POTTER CANDLES. I want these. A lot. 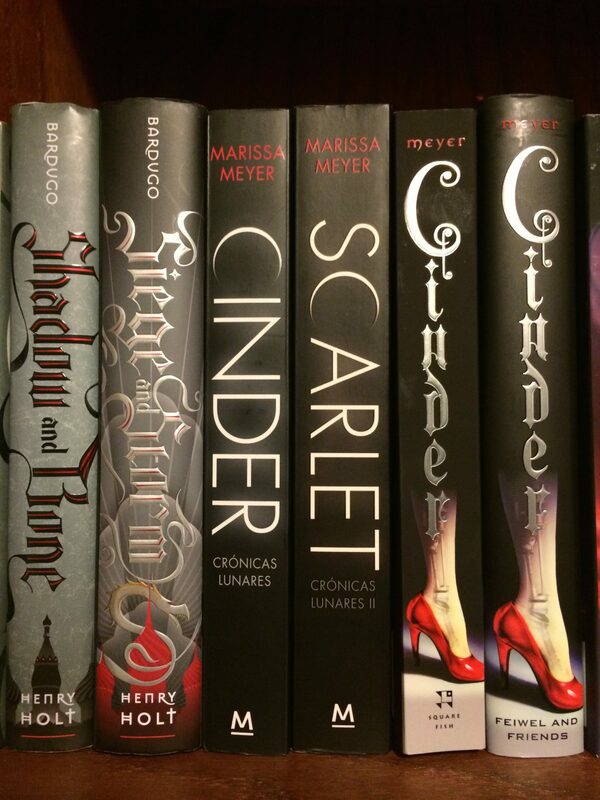 These babies are from a website called Fandlemonium (and yes, they have other ones besides Harry Potter too.) I want them SO badly but they’re more money than I’m willing to spend on candles at the moment! 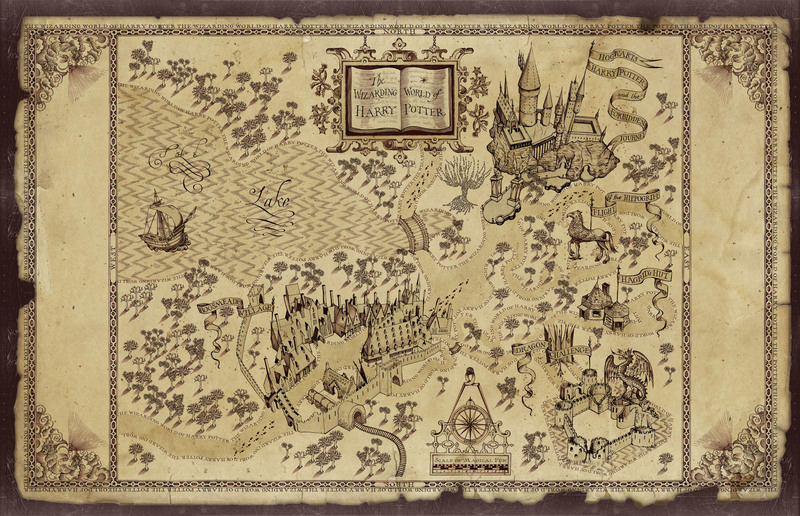 ANYTHING MARAUDER’S MAP. I realized back when I was looking for Christmas gifts last year that somehow I became obsessed with the Marauder’s Map and didn’t even realize it. It just LOOKS so fantastic and I basically want ALL THE GIFTS. FANTASY MAPS. Well, I really don’t know where I would hang any of these (maybe a T-shirt is in order?) but I soooo want these maps. They look so amazing and I would just sit and stare at them, I’m sure. BOOK LAPTOP CASE. Because how awesome is this laptop case that looks like a book? So awesome. COFFEE MUGS. Because one of my favorite times to drink coffee is while reading and honestly, everything is better with books. BEER GLASSES. Because besides coffee, I ALSO love beer. Different kind of brews & books! PRINTS. There are honestly soooooooo many out there that I could possibly want. Again, no place to really put them unless I start decorating our guest room as a Harry Potter room (though really, is that ever a bad idea?) so I will hold off for now. 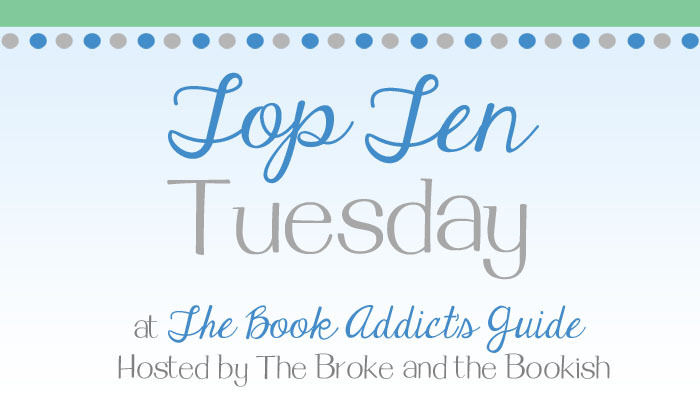 This entry was posted in Books, Top Ten Tuesday and tagged Bookish, Bookish Gifts, Books, Gifts, Top Ten, top ten tuesday, YA, Young Adult on April 15, 2014 by Brittany.